Richardson, TX — July 12, 2016 — Systemates, Inc. extends a warm welcome to one of its latest enterprise clients, Tuesday Morning. Tuesday Morning is a retailer that offers upscale, name brand closeouts for the home at unparalleled savings. The company operates over 800 stores servicing 41 states. With many more locations planned in the future, Tuesday Morning is utilizing Projectmates construction program management software as a platform to manage its entire program. Projectmates software has a highly accomplished track record in assisting retailer owners with construction project management. A wide variety of clients including restaurant chains, big box retailers, and convenience stores rely on the web-based project management platform to store documentation, track schedule milestones, manage project costs, and much more. The convenience of having so many tools and functionalities on a single platform is something Tuesday Morning intends to take great advantage of. Tuesday Morning has particularly capitalized Projectmates' Task Management functionalities. The software is equipped with a myriad of out-of-the-box tools for task tracking, such as the Scheduling and Punch List tools. The scheduling tool allows retailers to track a store project's complete lifecycle, from the initial site survey all the way to grand opening. The Punch List tool provides retailers with a platform to manage as many checklists they feel is necessary to properly evaluate a project. Many users take advantage of this feature to have separate checklists for ongoing action items, closeout, etc. Additionally, the company has utilized Projectmates' unique Custom Business Process (CBP) Engine to easily create many customized web forms that further assist in the task management and quality assurance of each project. These intuitive custom forms can be created within Projectmates with zero coding, allowing clients to seamlessly integrate any unique forms that are integral to their construction management directly into the system. Projectmates can even generate dynamic reports based on the data from these custom forms. For example, Tuesday Morning created a unique Store Development form to log specific store information and function as a milestone checklist. This is one of many examples of clients leveraging the sheer configurability of Projectmates to address their unique needs. Headquartered in Dallas, Texas, Tuesday Morning is an upscale, deep discount retailer specializing in closeout home goods. Since 1975, the company has continued its mission of supplying customers with an ever changing assortment of brand name products at incredible prices. Boasting well over 800 stores, Tuesday Morning features a wide variety of items such as home furnishings, bed & bath goods, kitchenware, toys, and much more. 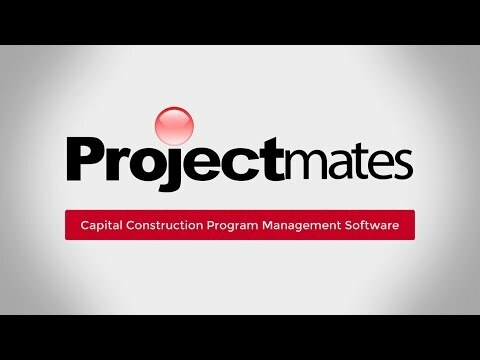 Founded in 1995 by leading architects and software engineers, Systemates, Inc. developed Projectmates to equip owners and owners' representatives with a secure, sophisticated construction project management software solution. Projectmates' collaborative platform dramatically improves project execution, cuts costs and delays, increases accountability, and reduces risks. With its cutting edge technology, Projectmates creates one seamless platform for managing the complete lifecycle of a building, from planning, bidding, and building to maintaining the facilities. Over 55,000 users from organizations such as Retailers, Real Estate developers, Educational and Government agencies rely on Projectmates to manage billions of dollars in capital construction programs. Systemates is privately held and headquartered in Richardson, Texas.